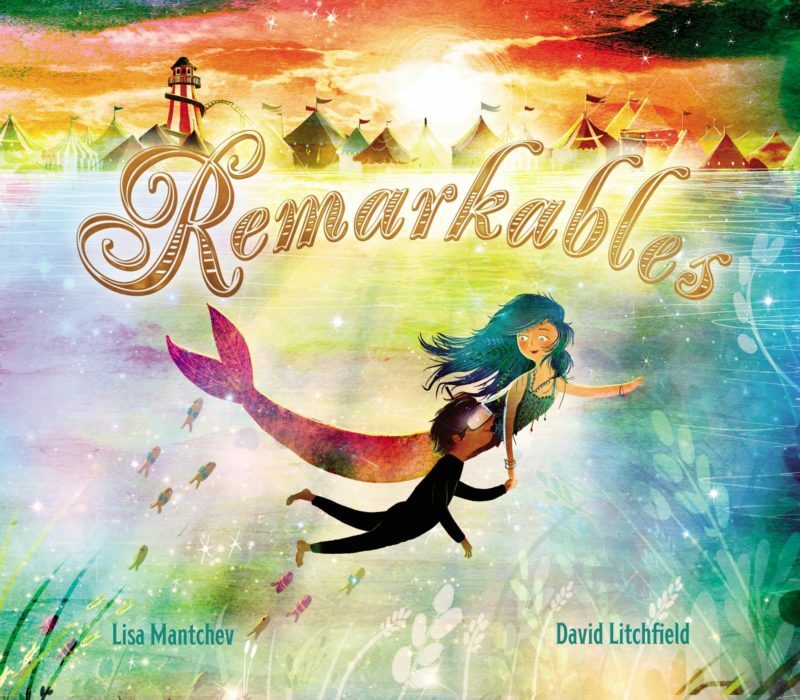 Journey meets Pearl in this transcendent picture book about a boy befriending a mermaid, created by the author of Strictly No Elephants, Lisa Mantchev, and The Bear and the Piano author-illustrator David Litchfield. A boy stands on a dock, behind him a glimmering circus. When he jumps into the water, an adventure begins. He meets mermaid who is all alone, an orphan, the last of her kind. While she’s eager to meet the circus folks—the strong man, the tattooed lady, the contortionist—she’s hesitant to create her own circus act at first, but grows to love the adoring audiences and her new circus family. Of course, she misses her ocean home. Will she have to choose between her new family and the ocean? In minimal, lyrical text, this stunning tale explores themes of friendship, loneliness, and home. As you can see, David has done AMAZING things with this story. You can read all about my part of the process over on Mr. Schu’s blog, WATCH, CONNECT, READ.